On November 2, Weichai Power, with “WOS quality management process”, won the third China Quality Award with the first place in manufacturing industry. 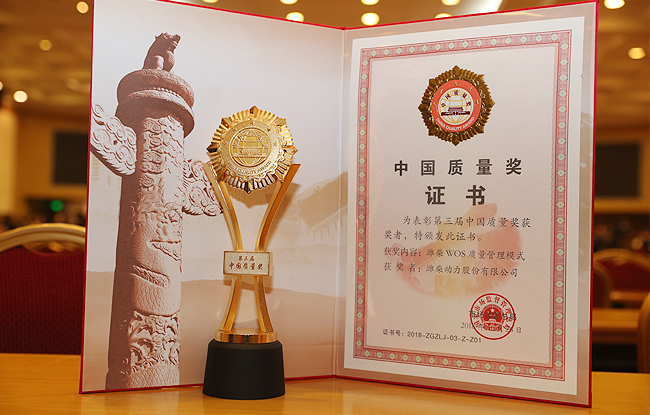 China Quality Award is the highest honor in China's quality field. "High-quality development of the manufacturing industry does not not only mean creating leading scientific and technological achievements, but also should have an advanced quality control system to guarantee the implementation, innovation and quality, which are complementary," Tan said, sharing his experience at the award presentation ceremony. From the verge of bankruptcy in 1998 to the revenue of 230 billion yuan in 2017, Weichai has been adhering to the principle of developing the enterprise through science and technology and building a high-quality enterprise in the past 20 years and has improved high-quality development of the enterprise with a compound growth rate of 37% per year. On October 31, Weichai published its latest report of“high-quality development”: in the first three quarters of this year, Weichai Power has achieved business income of 118.182 billion yuan, with a year-on-year growth of 5.95%; net profit attributable to shareholders of listed companies of 6.01 billion yuan, with a year-on-year growth of 30.37%. Since the V-shaped recovery in 2016, Weichai has been maintaining high growth and the market keeps booming, mainly benefiting from the comprehensive upgrade of product quality and technology. According to this year’s report on the work of the government, we should promote the spirit of workmanship and lead a quality revolution in China’s manufacturing industry. 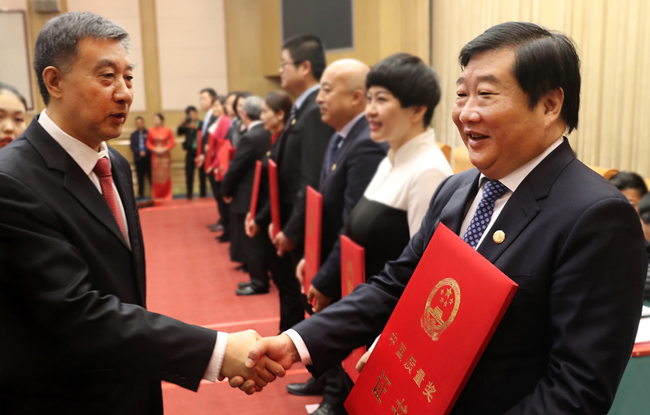 Tan Xuguang, Chairman of Weichai Group and an NPC member, who listened to the report at the Great Hall of the People and felt excited: quality revolution is indeed the core issue that manufacturing industry and high-end manufacturing industry in real economy of a great power should attach important to. We should further improve the quality management level and facilitate the quality revolution of Weichai. “Either not to do it or to do the best” - The quality revolution of Weichai mainly focuses on scientific and technological innovation, promotes the implementation of "moving to the high-end" strategy and achieve the first-class level of the full range of products. Today, Weichai's brand new N, H and M platform engines have been released to the market successively, becoming the "new favorite" of the high-end market. In the meantime, to welcome the upcoming the age of "Stage VI Emission Standard of China", Weichai’s full range of products applicable to Stage VI Emission Standard of China have completed the upgrade of environmental protection and emission. 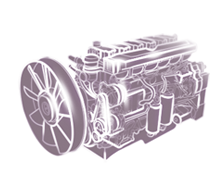 In terms of products, Weichai, centering on the differential positioning of "reliability and durability", focuses on the reliability of internal combustion engines and relies on State Key Laboratory of Engine Reliability, Weichai to overcome key technology problems and lay a solid foundation for the internal combustion engine industry in China. After years of innovation and experience accumulation, Weichai’s main power products has realized the Mean Time Between Failures of over 250,000 kilometers, leading the developing trend of heavy truck engine in China; the high-end diesel engine independently developed and manufactured by Weichai has set a high standard of service life for the world's high speed heavy engines with a service life of 1.8 million km / 30 thousand hours. 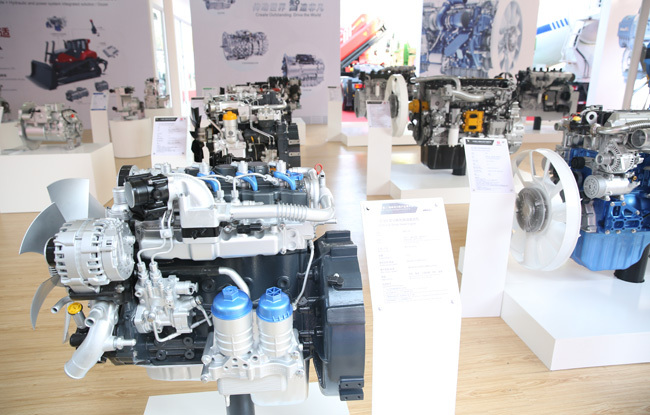 In the Chinese market, although the price of Weichai engine is higher than that of world famous brands by 10%, demand for it still exceeds supply. In the high-end market in Europe and America, Weichai engine by virtue of reliability has also attracted overseas customers. 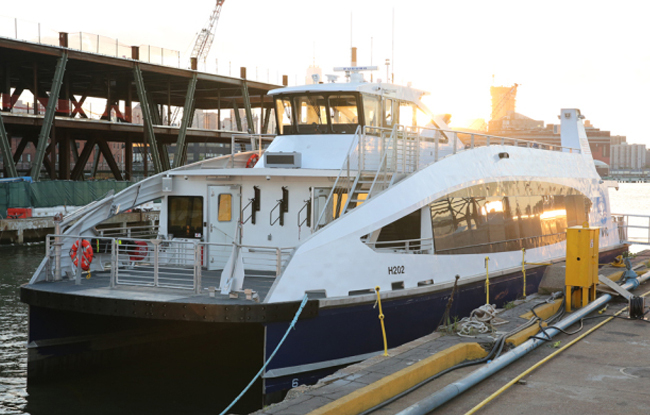 The ferry that links the both sides of the East River in downtown New York is powered by the Weichai Baudouin M26 engine series. 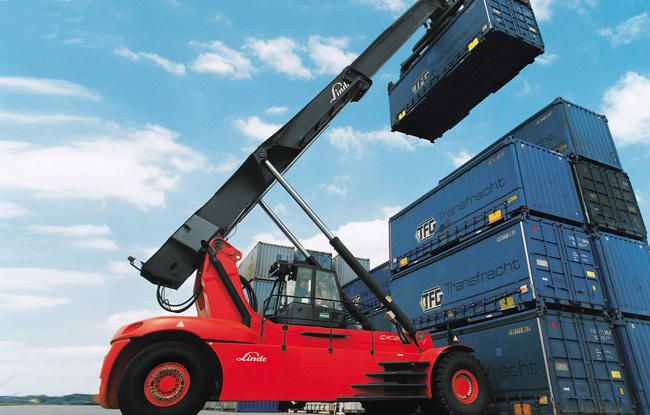 Weichai products’ reliability and durability won the trust of customers. 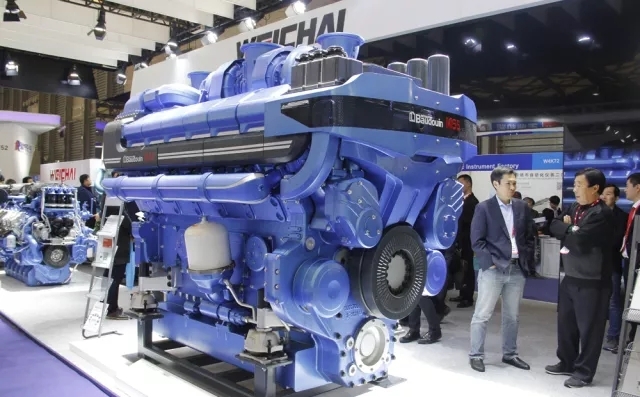 For example, Weichai high-horsepower engine WP13 is the first 13 L"500 HP +" engine in China’s heavy truck market, and since official launch in 2015, its sales volume has doubled year after year and its market share is as high as 30%. Wang Taishan, from Bayuquan, Yingkou, Liaoning, is a loyal user of Weichai WP13 engine, who has been engaged in port transportation for many years and confesses that he buys Weichai products due to their durability, high inventory, fuel conservation and reliability. "From China II to China V vehicles, I have always been using Weichai engines, and it is Weichai engines that have helped me go further and further in my career." he said. Core technology is the key to a country and the lifeblood of an enterprise. In order to achieve high-quality development, China’s manufacturing industry must adhere to taking the path of independent innovation. The General Secretary pointed out: "we can’t ask for, buy or beg for key core technologies". Despite the ups and downs of the economic situation, Weichai has always been devoting large investment in research and development. In the past 10 years, Weichai has put more than 15 billion yuan in engine R&D and built a first class engine R&D and manufacturing base. Now, Weichai has a state key laboratory focusing on engine reliability research, which is also the only one engine laboratory certified by the US EPA. In recent years, Weichai has successively established the frontier innovation centers in Chicago, Aachen, and Tokyo to ensure its technology always conforming to international frontier standards. Weichai has been committed to promoting the "related diversification" and internationalization strategies and completing the global layout through the overseas operation strategy of "trade export + localized production + technology export + merger and reorganization". In 2017, Weichai group achieved an annual revenue over 220 billion yuan, of which 40% came from overseas. At present, overseas business has occupied half of Weichai’s business territory, which is an important part of the high-quality development of Weichai, especially the booming development of overseas subsidiaries, which has effectively promoted the transformation and upgrading of domestic industry. However, it is easy to complete merger and acquisition but it is difficult to complete integration, so how does Weichai operate overseas subsidiaries effectively? WOS (Weichai Operation System) provides strong support for Weichai to operating global businesses, consolidate the “half of business territory” and promote high-quality development. With the expansion of business territory, Weichai has gradually explored and established a unique Weichai quality management system in the process of solving the problems such as bidirectional extension of industrial chain, great regional and cultural differences among subsidiaries, and great difficulty in quality improvement. Based on the concept “big quality”in the whole process of enterprise operation and emphasis on customer satisfaction, the system has integrated strategy, indicators, value chain, system process, performance evaluation and improvement under the guidance of 10 operation principles to form a quality management system with quality management as the lead and sales, R&D, manufacturing and management quality unifying and linking with each other to meet customer requirements for quick response and heavy personalized demands. By promoting this system, Weichai has reduced the new product R&D cycle by 60%, failure rate of new engine by 72%, rework rate by 40%, controllable variable cost by 46% for unit set and delivery cycle by 45%, and has realized comprehensive and rapid improvement of quality and benefit. More importantly, WOS quality management mode is characterized by high openness, inclusiveness, replicability, generalizability and feasibility, which plays an important role in the resource integration and industry chain coordinated development at home and abroad. Domestic and overseas M&A enterprises actively introduce WOS and have achieved a great success. 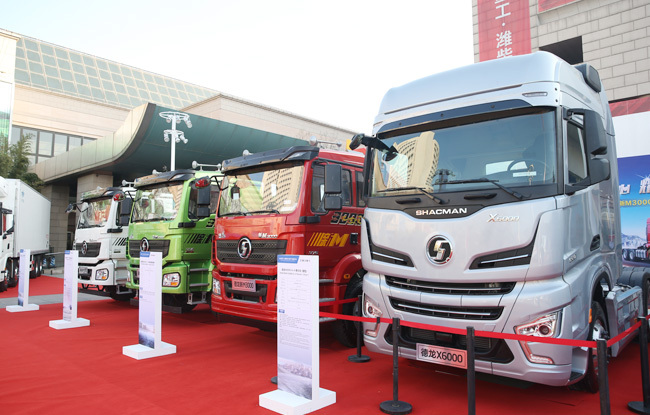 In the five years after acquisition of Yangchai, the product unit price has increased from less than 5,000 yuan to nearly 20,000 yuan; in the 13 years of strategic reorganization of Zhuzhou Torch, Shaanxi Heavy Duty Automobile Co., Ltd. has successfully entered the first echelon of China heavy truck. Among the overseas m&a enterprises, French Baudouin Engine, Italian Ferretti, Germany Linde Hydraulics, etc., have achieved profitability and rapid development; KION maintains a growth rate of more than 10%.